You’ve probably heard the saying, “an idol mind is a devils workshop”. It holds true because most children today are preoccupied with school work and tuitions that by the time they finish all these tasks, there is hardly any time left for developing hobbies. With the little time they have left they while it away by watching television, playing video games and spend way too much time at social networking sites for relaxation. Thus leaving absolutely no room for developing ones creativity, eventually these individuals are asked to come up with innovative ideas upon entering into the corporate world and are in a fix. Knowing full well the consequences yet, we as parents fail to ensure that this doesn’t happen to our children. Between our busy schedules balancing our work life, family life and personal life becomes an impossible task. Hence we tend to ignore the development of our children which affects their growth in the long run. If these cases sound familiar, then may be its time for change. This is where engaging in recreational activities comes in handy. 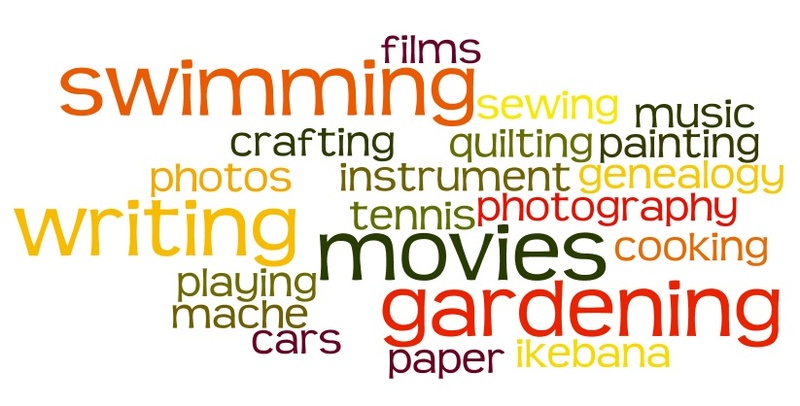 Simply speaking hobbies are recreational activities that one engages, in their leisure time. These activities may include learning to play a musical instrument such as drums, a guitar, a violin or a piano, a sport such as badminton, table tennis, cricket or football, written works such as poetry or prose, composing music or lyrics, drawing, painting, designing, needlework, knitting or crochet, dancing, reading, origami (paper crafts), listening to music, collecting stamps or rocks and of course travelling. These are only a some examples of recreational activities that both children as well as adults stand to benefit from. These activities help individuals to develop their creative talents and can even bridge the gap of parenting. Engaging in leisure activities also does wonders to individuals who are tired and frustrated with life because it provides an outlet for releasing pent up emotions. Moreover it also relaxes and refreshes the mind and body. Research has found that individuals who engage in leisure activities remain healthier in comparison to individuals who don’t. Hobbies if developed, can transform into professions as well. Apart from these benefits, studies have even found that students who engage in recreational activities generally tend to do well in academics as well. Therefore it is said, “All work and no play, makes Jack a dull boy”. 1. 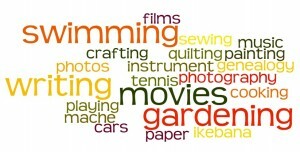 Health benefits: developing hobbies has health benefits as well. It serves as a break from routine work. It relaxes and refreshes the mind and body thus preparing it for the tasks to come. Playing a musical instrument has its benefits, it provides a perfect outlet to release pent up emotions. These individuals tend to use music as a way of expressing their emotions and views. Research has found that music is a healthy way to vent out pent up emotions. By engaging in recreational activities, individuals tend to develop a positive attitude towards things. 2. Creativity: engaging in leisure activities creates room for developing ones creative and imaginative skills. It gives individuals an opportunity to explore their other talents that may be hidden. It helps individuals to come up with unique and innovative ideas. 3. Knowledge: hobbies like reading turn lazy readers into avid ones. It increases their imaginative and visualizing skills because they tend to visualize the descriptions given in the book. It increases their knowledge as these individuals tend to read up on topics that they find interesting. For instance a hobby of collecting stamps makes individuals eager to learn more about their collection. It improves their vocabulary and adds colour to their written work. It makes them aware of other areas that they have not thought off. 4. Academic Performance: Studies have found that recreational activities have remarkably improves scores in academics. Because hobbies have a soothing and refreshing effect it has helped individuals to perform well in school. 5. Parenting: If parents wish to develop the children’s hobbies it is important that they themselves have hobbies, as children learn what they are exposed to. When children are in the process of developing their hobbies, they tend to ask their parents for assistance and this helps parents to spend time with their children. It also improves the relationship that parents have with their children. 6. Professions: many a times if the hobbies are nurtured, they can be converted into careers which give a meaning and purpose to life. If individuals are passionate about something and are good they generally try to develop careers in their interest and usually succeed. So start now, while there is still time, and reap the rewards of your effort later. Know that it is never too late to start something new and embrace change. When some one searches for his necessary thing, thus he/she wishes to be available that in detail, so that thing is maintained over here. good job done.